Taylor Francis of Braymer, the Defending State Champion, leads four more returning State Medalists in the Class 1 Girls Pole Vault. She's the only one to have successfully cleared 10 feet, and has been consistently over 9 feet. Her closest challenger will be last year's runner up Regan Allee of Worth Coutny who comes into the season with a PR of 9-6 from State last year. Class 1 State Record Holder and Defending State Champ Gage McAdams leads the pack in the Class 1 Boys Pole Vault heading into the season. 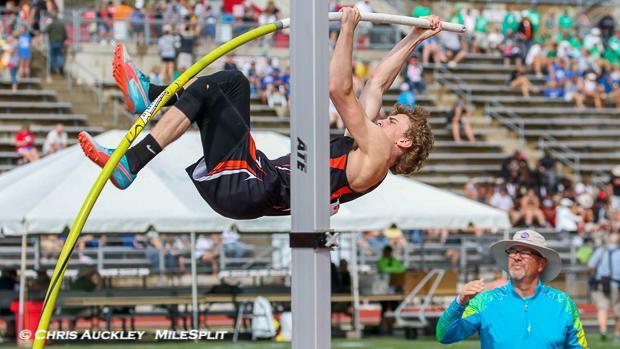 His record vault of 15-0.25 is a full two feet higher than the next best vault in Class 1, so its going to take real upset for anyone else to be atop the podium in 2019.